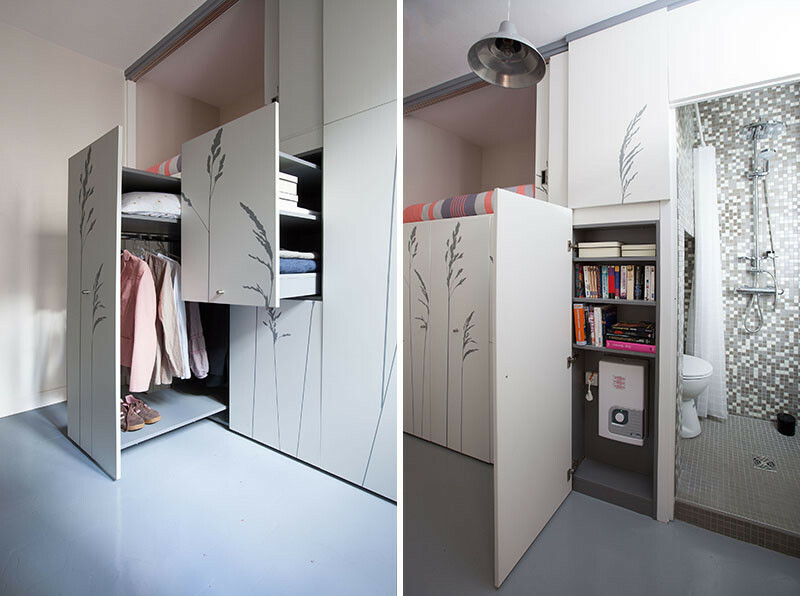 KITOKO Studio were given the task to transform a former storage closet (was also once a maids room), into a usable 86 square foot (8 sqm) apartment in Paris. 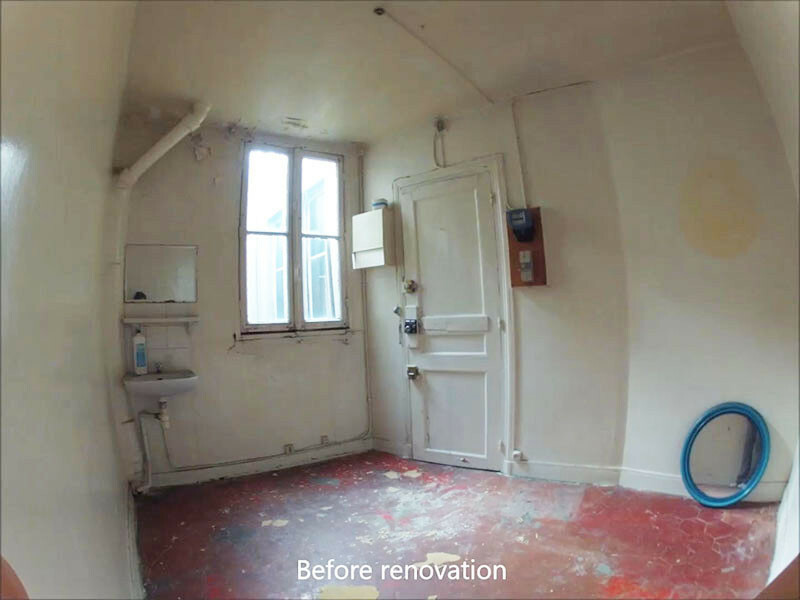 Before the renovation, the room was very empty, with just a sink and a window. 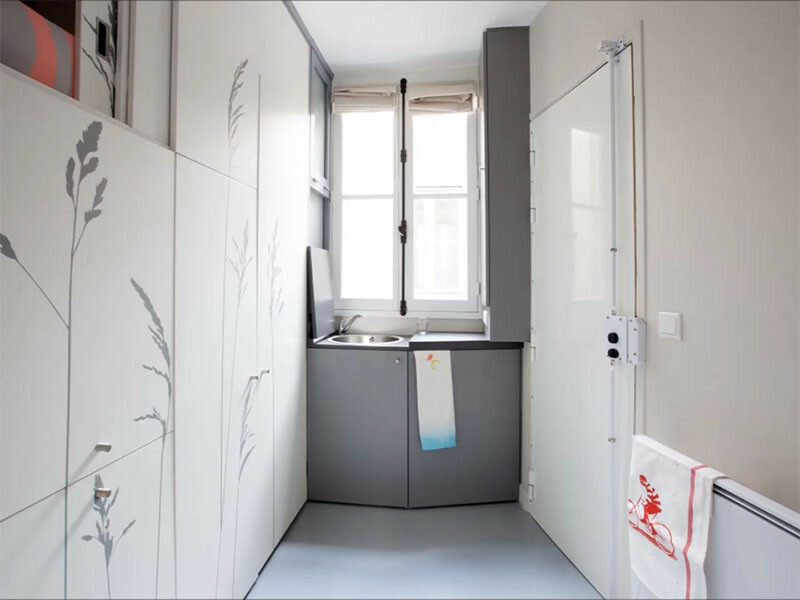 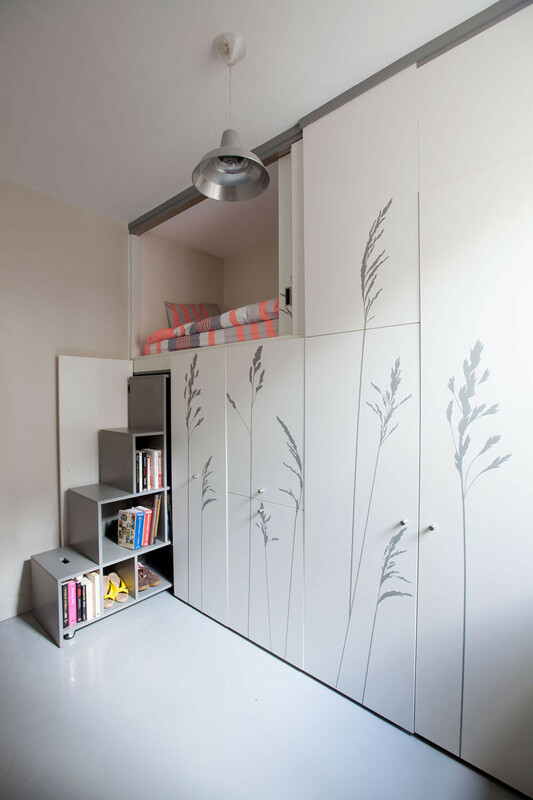 Once it was renovated, an entire apartment was able to fit in this tiny space. 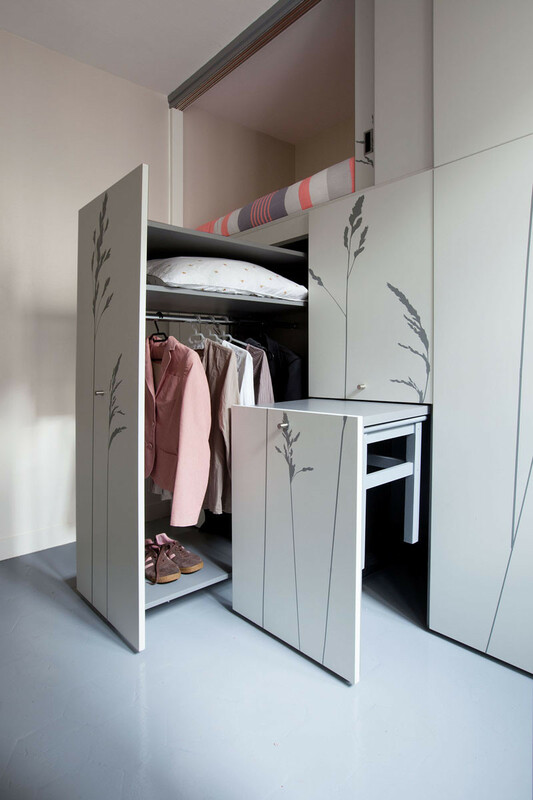 A bed, stairs, table, storage, kitchen, and bathroom, are all included. 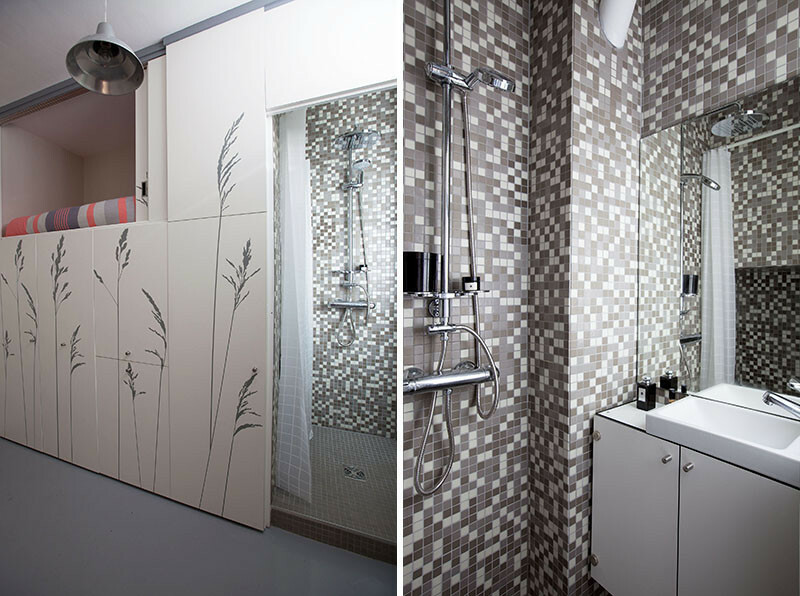 Watch the video below to get the true sense of size…it really is tiny.